Microsoft is rolling out Windows 10 Preview Build 17127 for Insiders in the Fast ring and it includes improvements to Cortana. Microsoft today announced the release of Windows 10 Insider Preview Build 17127 to Insiders in the Fast ring. This is the first new preview release this week since last Friday’s Build 17123. While there are no major new features to report, there are some new improvements to Cortana in this build. Cortana now includes a new profile page that you can add and edit your favorite places. “The places you add are used to give you traffic updates for your daily commute, and let you easily set reminders when you arrive or leave your places,” notes Dona Sarkar in today’s announcement. 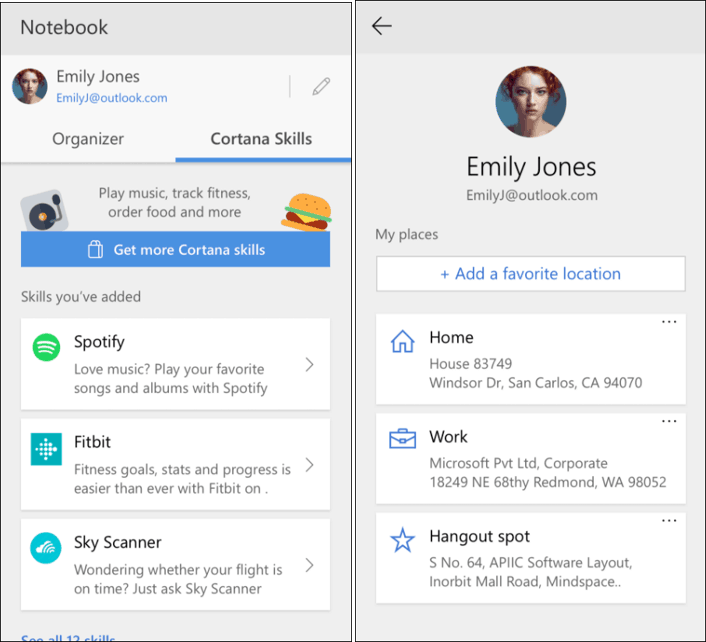 Cortana’s Notebook has received an updated design and support for more international languages. It also will learn to use a default Skill lie Weather, Sports, or News and provide a set of tips for easier management of the digital assistant. These changes are being rolled out to Insiders participating in Redstone 4 and Redstone 5 (Skip Ahead). There are no known issues with this build, according to today’s announcement but if you run across anything you’re encouraged to mention what you find in the Feedback Hub. Make sure to read the official post for all new features, known issues, and developer notes. If you are an Insider, let us know how this build is or isn’t working on your test system. Or, hop in our Windows 10 Forums for more discussions and troubleshooting advice for all things Microsoft.